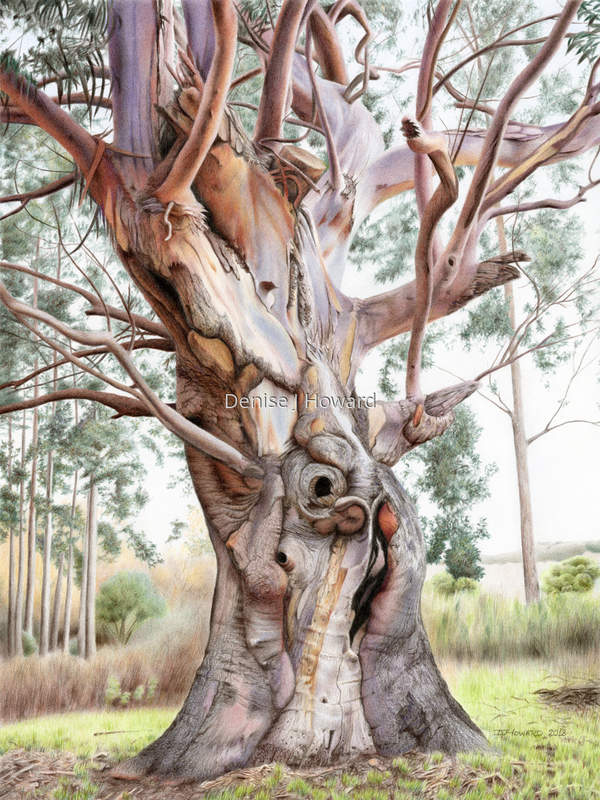 Eucalyptus trees are known for their continuous shedding of long strips of bark, exposing a rainbow of colors in the newer wood underneath. Botanists believe the shedding helps the tree rid itself of insects and other parasites. We humans could learn from the wisdom of this constant renewal process. I found this wonderful tree in Andrew Molera State Park, in Big Sur, California. Colored pencil on hot-pressed watercolor paper.